Issue #32 of Boom Studio's Peanuts comic book arrives in stores on Wednesday, April 27, 2016. The issue features a single story, "Snoopy From the Block," based on the comic strip storyline where Snoopy is nominated for the "Daisy Hill Puppy Cup" award. You can see a preview at Comic Book Resources. 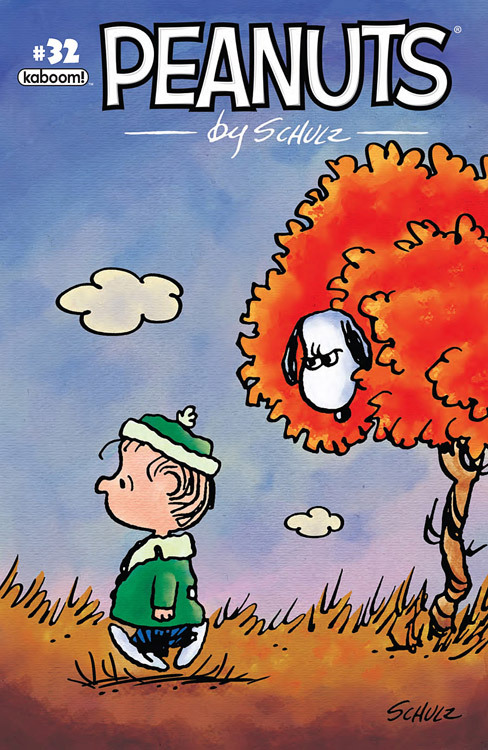 Unfortunately, #32 will be second-to-last issue of the Peanuts comic book; Boom Studios has announced they're bringing the series to a close. The final mag will be titled Peanuts: Friends Forever Special #1, a bumper size issue scheduled to be released in July.